Inspecta-Shield™ is a versatile, broad spectrum, odorless, colorless, multi-use, penetrating, Class "A" fire retardant (for interior use only). Our pre-mixed product is easy to use, non-toxic, non-allergenic and offers superior fire-retardant protection. Inspecta-Shield™ meets and exceeds all requirements to be rated as a fire retardant by Federal, State, and locally acknowledged testing procedures. All specifications and suggestions appearing on our labels and in our literature concerning the use of our product are based upon tests and data believed to be reliable. Since the actual use by others is beyond our control no guarantee, expressed or implied, is made by International Fire-Shield, Inc. as to the effect of such use or the result to be obtained. 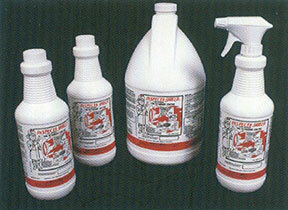 The extent of liability of the manufacturer in all circumstances is the purchase price of the Inspecta-Shield product. For commercial use only. Not recommended for exterior use. Independent testing standards have proven that Inspecta-Shield provides unsurpassed fire-retardant protection and has been recognized by Fire Code Officials across the United States. Coverage rates shall be followed as recommended by the manufacturer and which have been established through independently recognized testing facilities and UL test criteria guidelines.